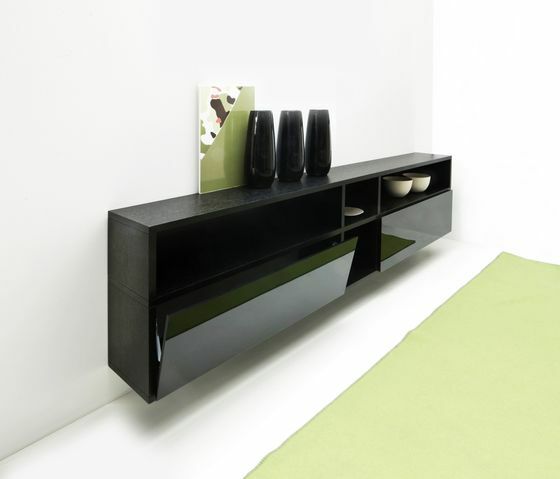 In the countless shapes of the chameleonic Set System programme, it is created, with no forcing, an example of hanging sideboard of valuable finishing. Its shelves alternate with those closed by flap doors which are inserted on the recurrent horizontal side “skeleton”. It allows this solution to be just one of the countless hypothesis realized by the use of the basic scheme of Set System.